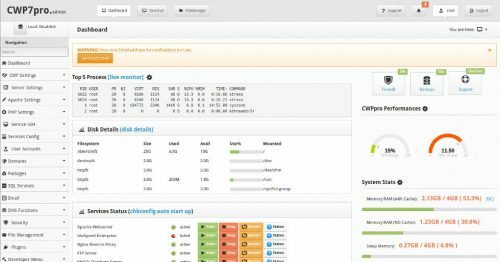 CentOS Web Panel – a Free Web Hosting control panel designed for quick and easy management of (Dedicated & VPS) CWP offers a huge number of options and features for server management in its control panel package. If you are running a VPS or Dedicated Server and need well maintained, useful and free panel then CWP is the best choice to go with. Let me show you the points why i am saying this. Many other features are there to explore and use in CentOs Web Panel. Other than this its look and feel is also very good. It is also having antivirus facility for the user accounts. It also supports the cPanel Migration. You can use the Letsencrypt for getting the Https for your website and remove that ugly “Not Secure” issue. In the next post i will tell you how you can install the CWP over your VPS or Dedicated server. Hope you like my post if you have anything to share with me please comment below.